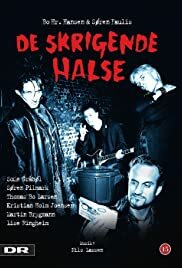 Ronni is a guitarist in "De Skrigende Halse"( The Screaming Necks (!?)) a punk band in the mid-eighties. He´s popularity within the band is dropping because of his recurring stomach problems makes it hard to finish the training sessions. Ronni faints under a concert just to wake up to a lot of angry faces. To calm things down he tells everyone that he´s so weak because he´s dying. His "imminent" dead naturally causes a lot of attention towards him in the local punk scene and things start to happen for the band.